Earlier this week, I discussed how Hawaii Act 123 of 2011 increased the maximum penalties by 10% for HIOSH violations. Well, today we shall cover the more substantive parts of the law. The Occupational Health and Safety Act (OSHA) and the Hawaii Occupational Safety Health Law (HIOSH) primarily cover an employer’s responsibility for keeping a safe and healthy work environment. OSHA falls under the US Department of Labor and is the responsibility of the Occupational Safety and Health Administration. They set the standards, enumerated by an extensive list of regulations. The Department, through the Administration agency, is responsible for everything involved with OSHA. This includes activities like site inspections, issuing citations, conducting hearings, and directing/enforcing remedies. refrain from discriminating against employees who exercise their rights under the Act. 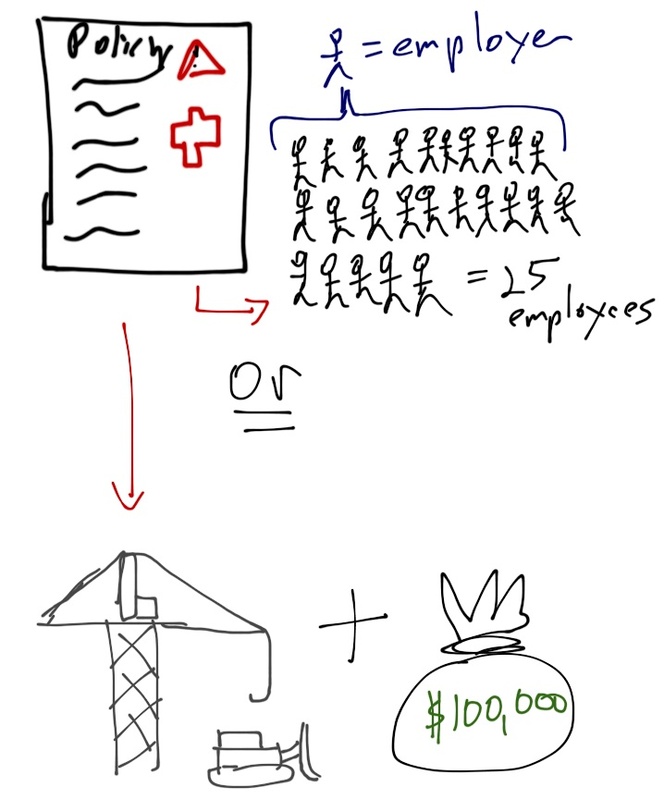 The employers that are covered: business affecting commerce (includes professional, agricultural, nonprofit and charitable organizations) – state and federal governments are excluded. Several states, including Hawaii, have state-level plans that work through the incorporation of OSHA language, to administer the law. 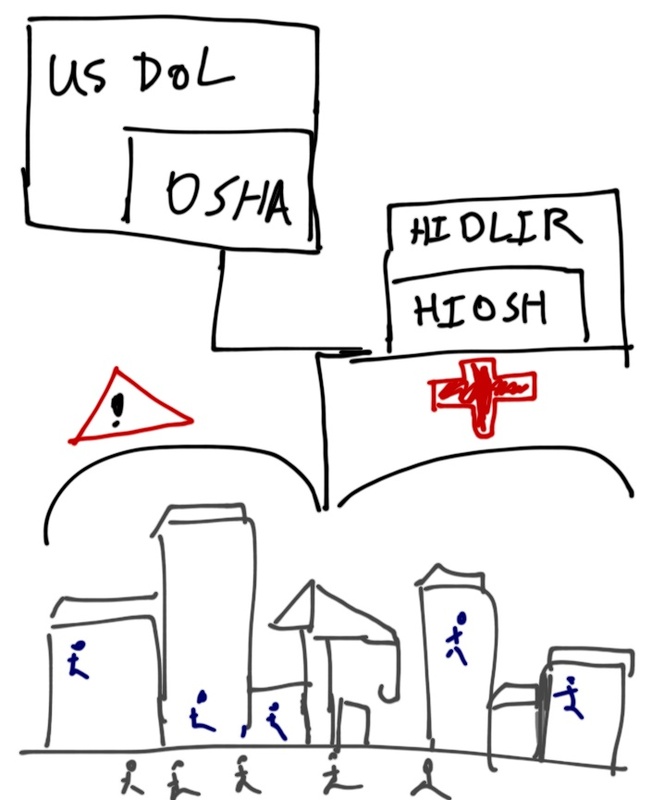 So while Department of Labor and Industrial Relations (DLIR) may enforce the safety and health violations through the HIOSH office, federal OSHA regulations are often cited when issuing fines or penalties against non-compliant employers. Differences: the Hawaii version specifically states that employers are to provide employees with safety devices and safeguards in addition to the other requirements. In addition, ALL employers are to comply with the law. I will now touch upon some more salient features in a quick, general way, as the law is much too large in scope to cover in a post. The complexities of compliance with OSHA and HIOSH are important, and you may want to consider a formal training or discussion with attorney or expert. 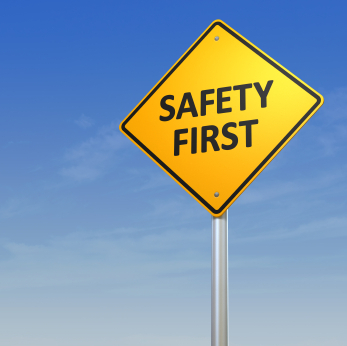 HIOSH requires all employers with 25 or more employees to maintain a written safety and health program. If you are in construction and have fewer than 25, but do work that is worth an excess of $100,000 you must have a written program as well. There are many standards, but one of the most applicable standards requires employers with more than 10 employees, to maintain a chronological log of recordable occupational injuries and illnesses with a detailed supplementary information about each occurrence. The purpose of that recordkeeping, is that for injuries and illnesses that result in fatality, hospitalization or 3 or more people, or property damage in excess of $25,000 must be reported to HIOSH. This includes situations where the employer has fewer than 10 employees. Every employer has to place in a prominent location information regarding employees’ rights and obligations under OSHA, an annual summary of recorded injuries and illnesses. 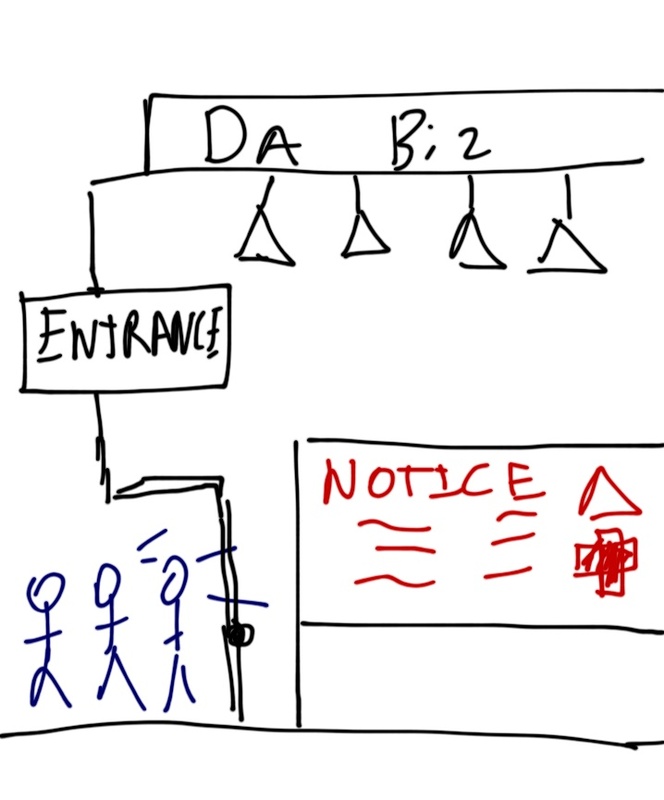 Other posting requirements are hazard signs and the proper labeling that entails. Generally, every employer has to establish some sort of occupational safety and health program, which includes training to provide employees instructional information on safe work practices. I’d like to bring up workplace violence here because a lot of people have the impression that OSHA and HIOSH is only situations with construction, chemicals, or the like, but the specifics of the law is that the employer is to create a safe environment for the employees. This includes a work environment free from violence. Thus, criminal conduct or dangerous personnel situations also do fall under workplace safety. Therefore, when you consider training and education it should be much broader than instructions on yellow hazard signs and warning labels. There is more to say about HIOSH and OSHA, but those specifics can be handled by an attorney, specialist, or compliance officer. 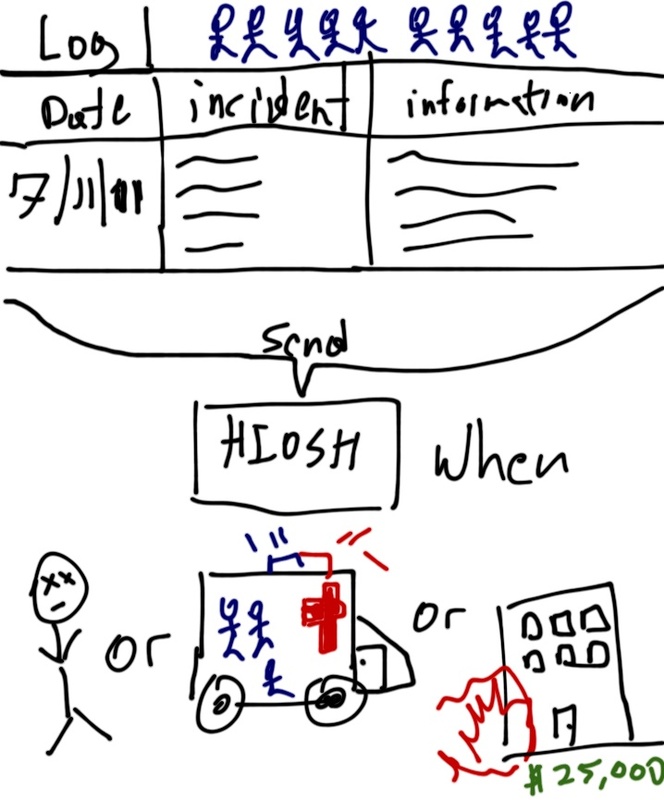 There are resources available on both the OSHA and HIOSH websites. So check them out. Ultimately, the point of all this is so that employers are responsible for keeping their workers safe and to do that requires a lot of planning and implementation of procedures. The goal is to pass safety inspections and avoid being cited or even possible imprisonment (check out this week’s Law in the Brief). If you have more questions about the inspecting and monitor, dealing with the Department, appeals, and in general further details of the law ask an attorney or contact the department. If you liked this post or any of my other series please “Subscribe” to this blawg to receive e-mail updates. In addition, follow me on Twitter and “Like” me on Facebook. If you need to contact me directly, please e-mail me at Ryankhew@hawaiiesquire.com.